PLEASE JOIN US ON FRIDAY, AUG. 24, 3–7 pm, at DCIS for our BACK TO SCHOOL TACO NIGHT/CARNIVAL/SILENT AUCTION. Those who came to Taco Night last year know it's not to be missed! More details to come over the summer, but be sure to mark your calendars NOW! 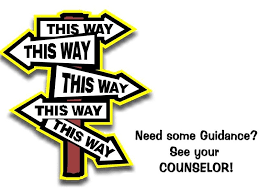 9th Grade Academy: Monday-Wednesday, August 6-8, 8-12 am. Registration for next school year will begin in August. Parents are encouraged to start the registration process online through the Parent Portal to fill out forms in advance of coming to the school on either Thursday, Aug. 9, 7:30 am–1:00 pm, or Friday, Aug. 10, 12:30–6:00 pm. In-person registration is required. If you are out of town and unable to make it on either of those dates, please check in with the front office as soon as you are back in town. You'll receive an email later this summer with more information and letting you know when online registration will open. Please show your love for our teachers by providing a tasty treat or beverage for the staff at the TEACHER APPRECIATION BREAKFAST on their last day of the school year, Friday, June 1, at 7:30 am in the DCIS Community Room (103). You can sign up here. Feel free to drop off nonperishable items earlier that week in the front office. SPAIN AND MOROCCO WITH MS. BURNS If you are interested in a spring break trip to Spain and Morocco next year, please send your name, cell phone and email address for students and parents to Sonia Burns. Sole, an amazing exchange student from Norway! We are looking for a home for an amazing young man from Norway for the 2018-19 school year. Sole is an active guy and wants to live the American Dream to the fullest. He is a competitive free-ride skier back in Norway and may like to continue to ski here in Colorado. He really wants to come to Colorado. Theo, a well-rounded exchange student from Germany! We are looking for a home for a fascinating young man from Germany for the 2018-19 school year. Theo is an open-minded guy and likes art, visiting museums, cooking and playing sports. He is perfect for Colorado as he loves the outdoors and also likes to ski, cycle and canoe. He wants to live the American Dream to the fullest. EF High School Exchange Year students come fully insured with health insurance and their own spending money. Their American family would provide a bedroom to sleep in, meals at home and a loving home to call their own. Email Derek Chandler today to find out how you can make Sole's or Theo's American Dream come true. Youth In Action, a group through which many of our students have spent time in Japan, is looking for host families for Japanese students for the weekend of Sept. 7-10. The students are from Denver's sister city, Yamagata, and a group comes here every year to study agriculture and do a short home stay. If you are interested in hosting, please contact JoAnne at 720-217-2160. 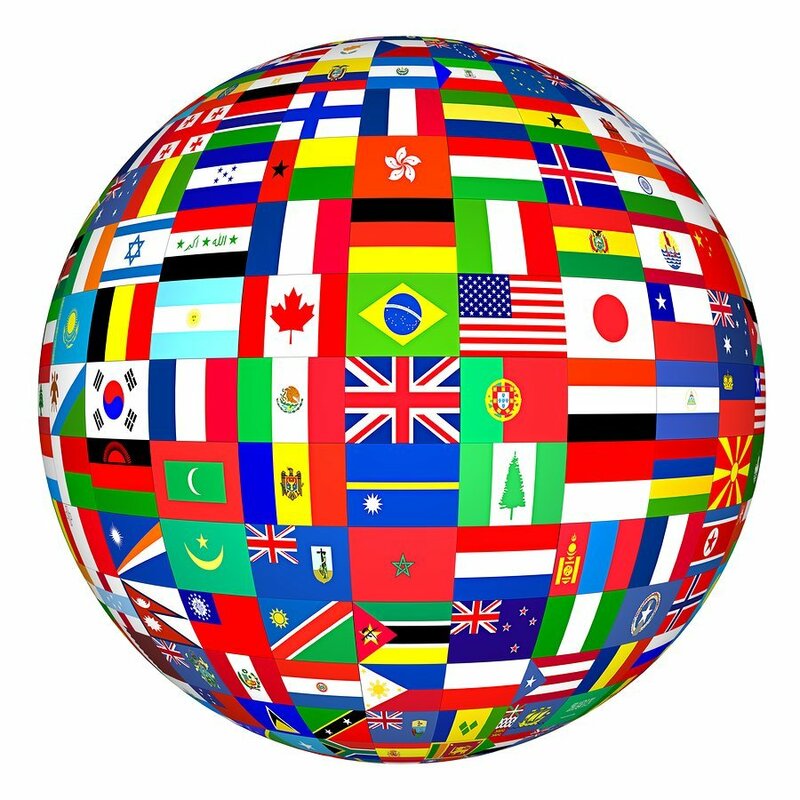 World Denver is looking for short-term host families for an Iraqi youth delegation July 11-25. WorldDenver is partnering with World Learning to host the U.S. State Department's 2018 Iraqi Young Leaders Exchange program. Home stay hosts are needed for 11-12 high school-aged participants and one adult mentor. All speak English. Participants have programming Monday-Friday, 9 am-5 pm; evenings and weekends are free for them to spend with their hosts. Daily pickups/drop-offs at MLK Jr. Blvd. and Colorado Blvd. (carpool opportunities available). If you are interested, please contact Gergana Kostadinova (720-330-9289). Awarded more than $4 million in scholarships and grants! ... to MAKE YOUR VOICE HEARD! 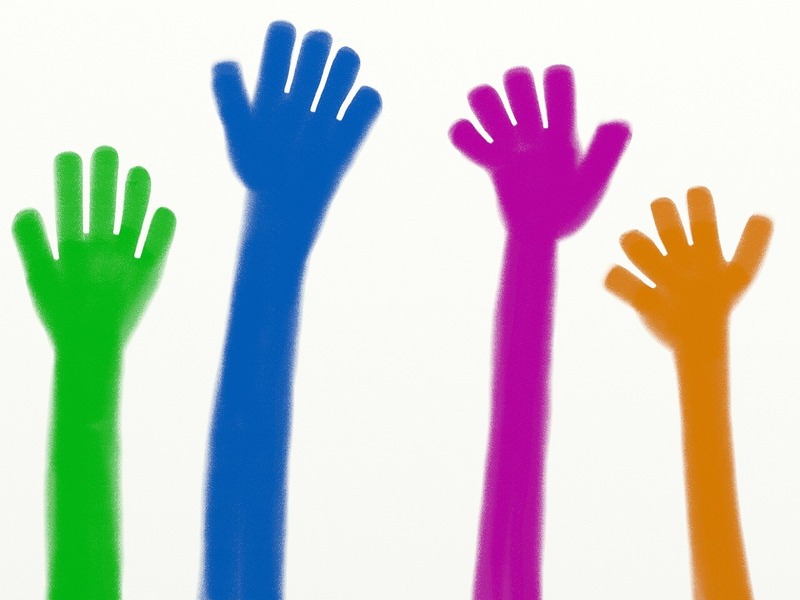 Parents, you now have until Wednesday, May 30, to fill out the PARENT SATISFACTION SURVEY online! DCIS is sooooooo close to the required response rate of 20%. If we miss the mark, it'll affect our rating on that measure on the School Performance Framework (SPF), which is like a report card for our school. Nobody wants to end the semester with a big, fat F! So if you haven't already completed the survey, it will mean a lot to the school if you take just a couple of minutes RIGHT NOW to do so. In addition to helping our SPF score, your feedback will provide critical information to help us improve as a school and to create an environment in which all students can succeed. The surveys are anonymous. All responses are summarized into a report that will be posted online in late August. More information is available here. How to fill it out? After choosing your language, enter the lunch number (student ID number) of your eldest child at DCIS on the Login page. That's all there is to it! Thank you, thank you, thank you for helping out!! Staff Appreciation Breakfast: Friday, June 1, 7:30 a.m. Please feel free to drop any of them a line (click on their name for contact info) if you have questions, suggestions or concerns. We would also like to express our appreciation to our outgoing board members — Karen Mortimer, Terri Porter, Dawn Marie Gallardo and Edmond Horsey — who have worked tirelessly over the past couple of years to make DCIS such a great community! Take the lead on fundraising for next year's 10th Canyonlands trip (in April 2019), making this trip accessible for every 10th grader. Please email meyer3000@gmail.com if you are interested in taking this on, or if you have time available to help. Thank you! Congratulations to the class of 2018 for earning more than $4 million in scholarships and grants! Denver Public Schools recently joined a growing parent initiative called Be the Influence, which seeks to reduce teens' use of alcohol, marijuana, nicotine and other drugs, in part by encouraging parents to make a simple pledge to only host supervised teen parties that are free of alcohol and drugs. Click here to learn how to host an alcohol-free event that teens will actually be excited to attend. As their final project, students will research and represent a historical figure or a commodity that was traded, or create an artifact replica and explain its importance, as part of a "Living Wax Museum." 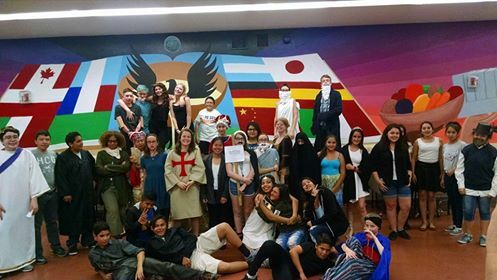 Students will present in class as their final and are eligible for extra credit if they stay after school TOMORROW, Friday, May 25, at 4:30 and showcase their talents as historians to friends and family. The event is open to the public, and everyone is welcome! ACTIVITY PASSAGES — WHAT ARE THEY? If you've ever wondered what an activity passage at DCIS looks like, juniors Alexus and Jesus worked on one this spring to bring their class closer together. 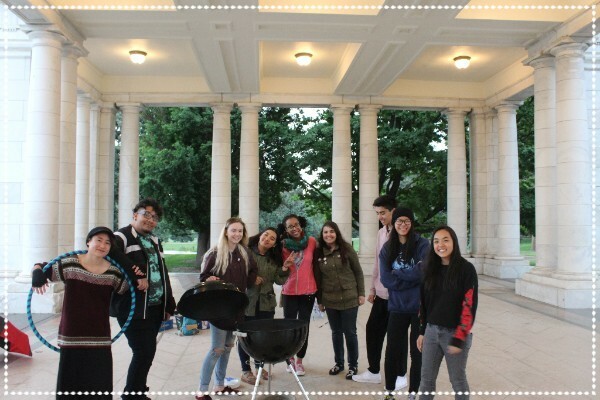 They organized a Junior Barbecue/Sunset on Sunday, May 20, at Cheesman Park. The juniors who showed up bonded freely with one another by hula-hooping, playing giant checkers and pitching in to help set up the barbecue. We wanted to make the barbecue as inclusive and intercultural as possible by doing the activities that the juniors wanted to do, including listening to the music they all liked since music is a way to define culture. Many of the juniors had fun and contributed to the barbecue by buying food, bringing games to play and helping to set up for the event. 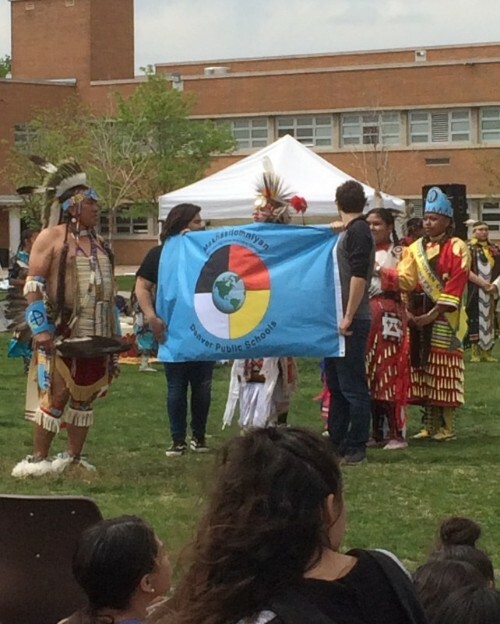 On May 11 the DCIS Native American Student Alliance hosted a Powwow at our school. The Powwow honored our graduating seniors, and all DCIS students had the opportunity to attend the event during the last 30 minutes of the school day. The Powwow included three drum circles as well as food and craft vendors, dancers and an opportunity for all students to participate in a friendship dance. Cyrus Willis, an 8th grader, really appreciated the opportunity to see people from different Native tribes from Colorado and South Dakota. He really enjoyed the community nature of our Powwow and learning the dancing and participating in the cake walk. It is rare for young people to be exposed to Native cultural practices in such an up-close event, and many of them walked away with a better understanding of the Powwow and some aspects of Native culture. Ideally, the Powwow led students to generate questions about culture and Native Americans. Thank you, PTSA, for supporting this event and for helping extend cultural enrichment experiences to DCIS students.